Virgin Australia has released their 10 most popular travel destinations this summer. Now we’ve got the scoop on what to do with kids when you’re there. The shoreline is perfect for any group size, and for all family members. Picture: Shutterstock. Your first attraction has to be Australia Zoo. The zoo that gave the world Steve Irwin is one of Australia’s best. The Crocodile Hunter demonstrations are not to be missed. Shake hands with echidnas, cuddle koalas and introduce your kids to Australia’s finest wildlife. 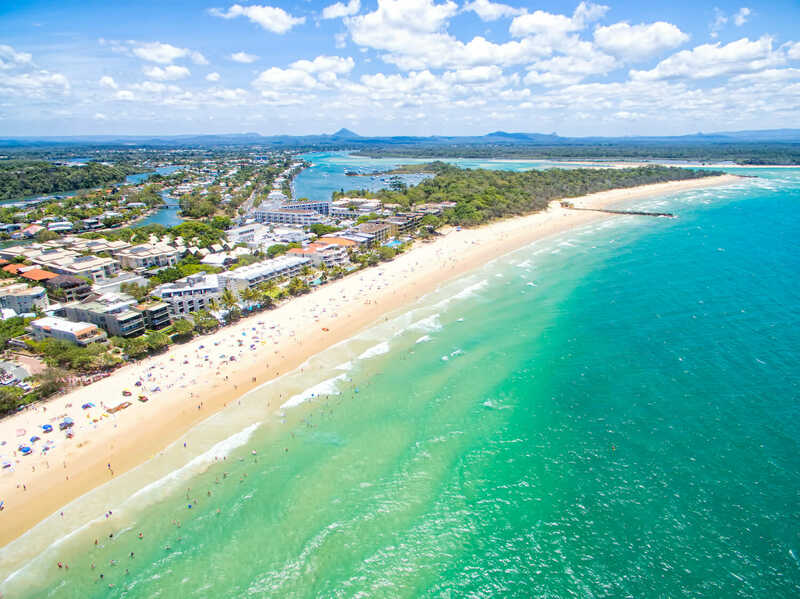 Caloundra Surf School is the place to learn how to ride those right-handers. Don’t be shy about falling off and looking an idiot. With both public and private lessons available, this is a great place to mount a board for the first time. Drive out to Yandina and experience a unique museum; one that celebrates all things ginger. No you won’t see Prince Harry, but you will see Gingerbread Men. If you can catch them of course. Enjoy a train ride, factory tour and ginger coffee. Kids of all ages will have fun at the Ginger Factory, learning all about ginger. Top Tip- Paradise Resort is a fabulous place to leave the kids if you want an adult’s day out. The laser tag, indoor jungle gym, games arcade lagoon pool and spa, two water parks (with slides of course), cannons, a giant tipping bucket, and ice rink ensures that whatever they like doing they’ll have fun. Christchurch has a wild beauty. Picture: Shutterstock. Visit the International Antarctic Centre and find out if you’d survive in the world’s harshest temperatures. Conveniently located right next to the airport, this is a great attraction to see if you only have a day or two in the city. Have breakfast with penguins, ride the Hagglund on their adventure course and experience the best of the Antarctic…without actually having to go there. 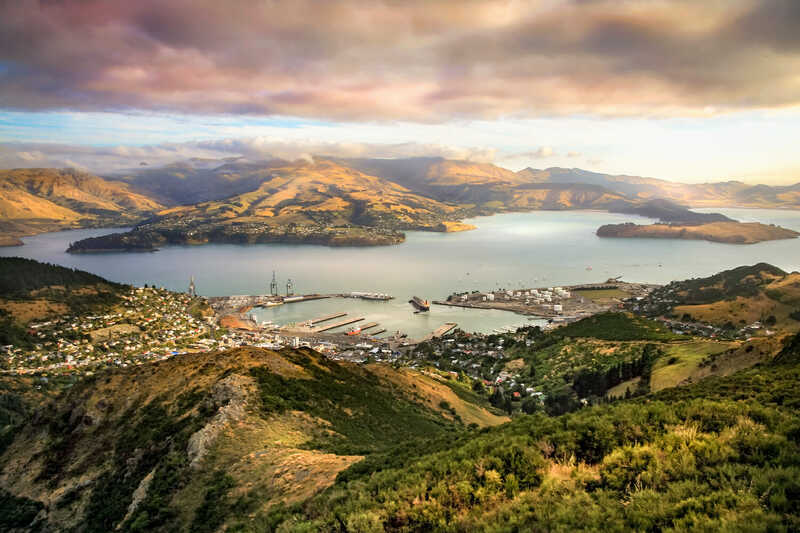 New Zealand is one of the world’s best countries for outdoor pursuits. Celebrate that by visiting Adrenaline Forest. The obstacle course there is no joke; obstacles start at 1.5 metres above the ground, suitable for most ages and fitness levels. To defeat the whole course, however, you’ll be climbing, jumping and swinging at least 20 metres up in the air. Your mental abilities will be tested too and don’t worry about safety- that’s one of their top priorities. Punting on the Avon is another great pursuit. It’s available year round, but it is much more enjoyable in the summer months. Christchurch is a college at England’ famous Oxford University and the Avon is one of England’s longest rivers so you can get a distinctly English feel while enjoying a fine Kiwi summer. Top Tip- Why not stay a night in an old Jailhouse for fun. What was once a jail is now an award-winning hostel. It’s got a fascinating history and, even better, the prices make this place a steal. Fijian snorkelling is a special experience. Picture: Shutterstock. You have to go snorkelling. You probably won’t find a better place to explore a world of soft coral. With 333 islands making up Fiji, this activity should have no time limit. If you want to spend a week doing it, go ahead. Why not explore some of Fiji’s many islands? Check with the resort to make sure you know which are the safe ones to visit. Visit the Kula Wild Adventure Park. It has a canopy flier, a chance to meet some enormous lizards and the whole family can playa being a ranger. Top Tip- Don’t just have a kava, attend one of the ceremonies. Find a local village and watch ancient proceedings. Then enjoy the national drink. Just not too much. Test your skills on the Aqua Park at the Gold Coast. Picture: Alison Godfrey. Wet and Wild, starting from $79 online, is one of Australia’s most famous water parks. Thrill-seekers should try the Tornado and the Kamikaze. Less-adventurous younger kids will love the long lazy river. Suitable for groups of all size, and people of all ages, this is a great place for a big family bash. 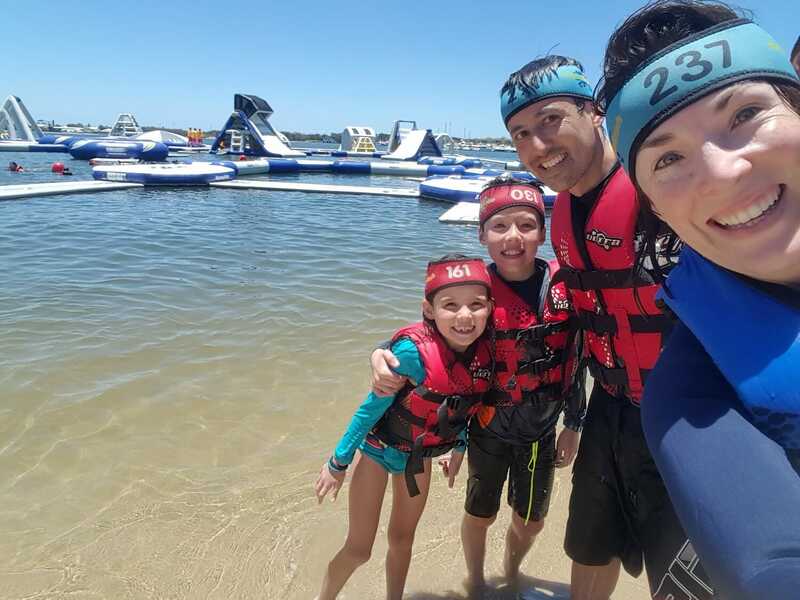 The inflatable Ninja course at Southport’s Aqua Park is another great family adventure. Run, climb, jump and swim through a ninja-themed obstacle course. Time each other and see who’s the fastest. Starting from just $15 for younger kids this is an excellent budget option. Go to the beach. Bring a picnic, plenty of water, sunscreen and a good book. Relax on the soft sand and watch the kids splash about in the waves. it’s fun, free and a fabulous way to chill out. Top Tip- Many surf clubs on the Gold Coast do a great bacon and egg breakfast. Go for a morning surf then have bacon and eggs with a view. Hobart’s waterfront is beautiful, especially as the sun sets. Picture: Shutterstock. Mona reinvented Hobart. Full of fascinating exhibitions, awesome art and interactive activities for children to do, this is a great place to spend a day. Owner David Walsh is famously eccentric and his personality has been poured into this museum, making it delightfully eclectic. Salamanca Market is great for a wander. Open every Saturday, you can let the kids loose with pocket money and be sure to have several hours of quality adult time uninterrupted. Pick up unique clothes, great food and bric-a-brac and then wander through Hobart’s charming small-town CBD. Hike up Mt. Wellington. Tasmania’s 52nd highest peak, it’s a nice climb for the whole family. You get a great view and it’s easily accessible from the city; the 448 bus gets you to the base in 20 minutes. The lookout building and organ pipes should go straight onto your Instagram account. Top Tip- Spend a morning wandering up New Town Road. On the corner of New Town and Cross St. are two fantastic antique stores and one of Hobart’s best bakeries: Jackman & McRoss. Can you guess why they’ve nicknamed it Mirror Lake? Picture: Shutterstock. You have to go kayaking. Queenstown has excellent canoeing, white-water rafting and great creeks to kayak up and down. Pick a craft, an oar and your dream team. It’s a great way to exercise and sightsee at the same time. If you’re brave enough you can skydive. Choose from 9000, 12000 or 15000 feet and…let go. Children under 12 need to meet certain criteria- instructors will assess them at the drop zone. Have a picnic on the shores of Lake Hayes. 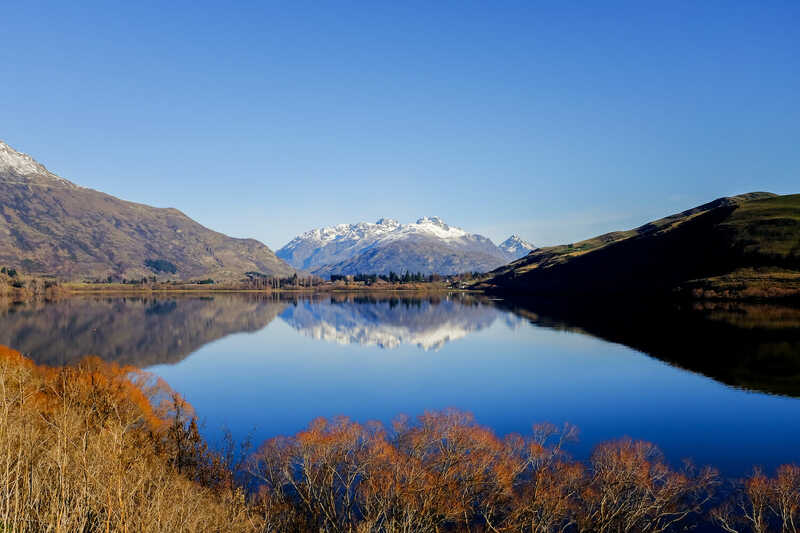 It’s the most photographed lake in New Zealand. Also known as the mirror lake, it’s a great place for a family picnic. Top Tip- Why not stay at Cardrona? They have mountain apartments. The three bedroom option, which has free Wi-Fi and a fully equipped kitchen, can sleep up to eight. Cairns is more than just the Barrier Reef. Picture: Supplied. 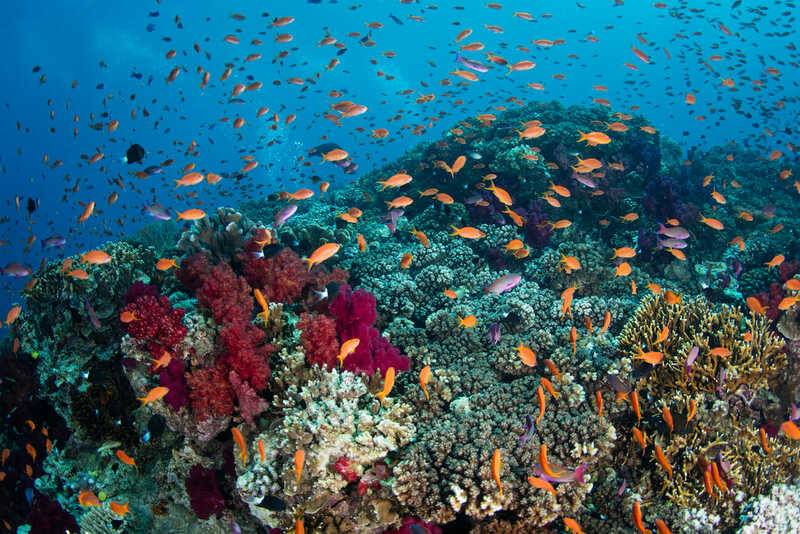 The Great Barrier Reef needs no introduction. The only living thing you can see from space, the reef is the size of Germany. You can see 10 per cent of the world’s fish species there. Kids will love meeting Nemo in real life too. Take one of Queensland’s finest scenic railways. The Skyrail’s southern terminus is 20 minutes from Cairns. 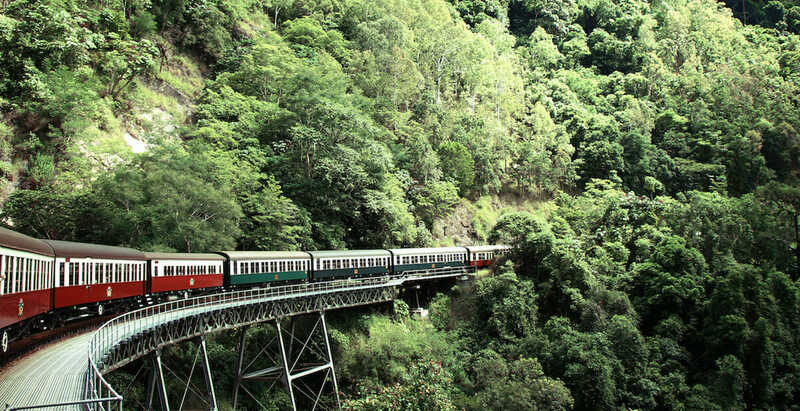 The train from Kuranda will drop you back at Cairns Central. You can explore the rainforest, enjoy a glass-bottom view from the Skyrail and count how many different bird species you can spot. It’s a great day out for kids who love animals. Every day there are free fitness classes on the Cairns Esplanade waterfront. These include Yoga, Pilates, Boxing, Aqua Zumba in the Lagoon, Beach Volleyball and Bouldering. Check out the timetables here. Top Tip- You should rent a bike. Cairns is not a big city. You can cycle around it easily and a bike is cheaper to rent than a car. Plus it’s great fun to travel on a tandem. This is just one of 1400 WA shipwrecks. Picture: Shutterstock. You must visit the WA Shipwrecks Museum, which claims to be the foremost maritime archaeology museum in the Southern Hemisphere. 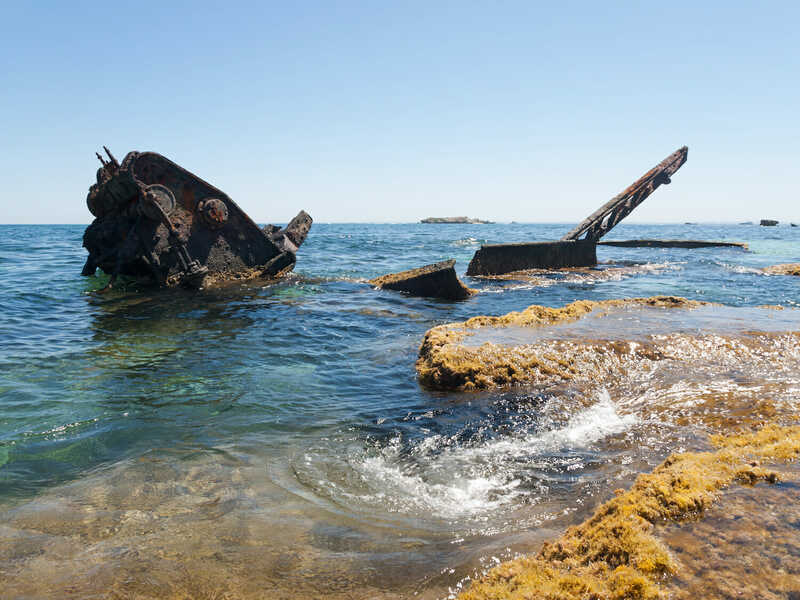 WA’s coastline is famously tricky to navigate around and the museums has collected hundreds of artefacts from the many shipwrecks that have happened since the 17th century. This summer you can enjoy a special exhibit on whaling in Australia. Complete with stunning views across the CBD, the Botanical Gardens should not be missed. They’re so big you could go every day for a week and still not see everything. Remember to meet Gija Jumulu the giants Boab tree. Caversham Wildlife Park, open everyday bar Christmas, gives you the opportunity to meet Wombats up-close, hang out with Owls and watch Wallabies hop. Rottnest Island has more than Quokkas. You can rent a paddle-board there and enjoy serene waters. Just make sure you don’t hit any sea-lions. See the McDonnell range on your balloon trip. Picture: Shutterstock. The Reptile Centre is a great rainy day activity. Kids can meet enormous crocs,snakes and tiny geckos. The daily shows, at 11am, 1pm and 3.30pm include an informative talk on lizards and pythons followed by a supervised handling session. Are you brave enough to hold a python? There’s one way to find out. For once you’ll want to wake up early. Dawn is the best time to ride a hot air balloon. Cycle or hike to Emily’s Gap and learn about the Dreamtime. 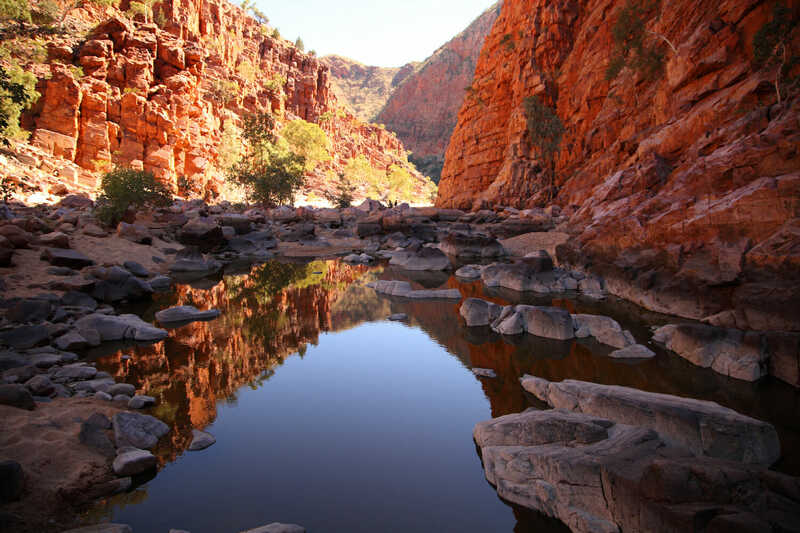 Find out about the Arrernte People who live at Mparntwe (or Alice in English). Top Tip- Alice Springs maintains a connection with the traditional owners of this land. Visit the ethically conscious Elbow Workshop and find out why their fashion choices are special. 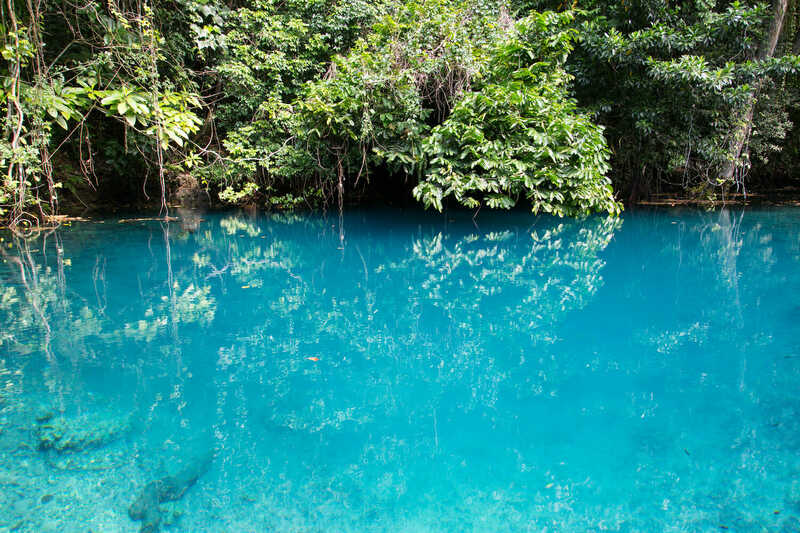 Vanuatu’s blue lagoon is magical. Picture: Shutterstock. Just 90 minutes from the capital Port Vila is the blue lagoon. Gleefully jump into this little slice of heaven and cool off. Go for a dive and visit the SS President Coolidge. Confusion around sailing orders caused the Americans to hit two of their own mines and down she went. Divers around the world travel to Vanuatu to see the wreck. Older kids will love exploring Vanuatu’s Millennium Cave. Tours are jam-packed with adventure including rock-climbing, wild swimming, and cave exploration. Top Tip- You should explore village life. If you do, be respectful. Wear long pants and cover your chest and shoulders.